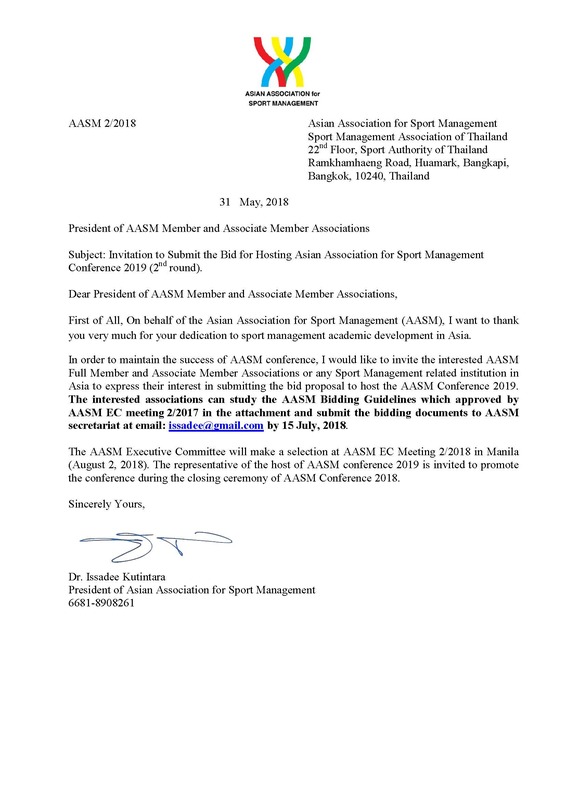 Asian Association for Sport Management will call for bidding AASM Conference 2019. The Conference will mark 15th AASM Conference. The bid is opened for Full member, Associate member and sport anagement institution in non-member who is enthusiastic to bring the prime Asian sport management event in terms of Academic to their country. The AASM Conference have steady grow in East and Southeast Asia and plan to expand to wider Asia. New members are more than welcome to observe and join the activity. The deadline of the bid is 15 July 2018. The selection will be done by the AASM Executive Committee in the meeting at Manila on 2 Aug, 2018. The Philippines will host AASM for the first time in upcoming August 2-4 and this event will boost the movement of sport management in the beautiful Islands nation.